I went to a crop at Felicia's Scrapbooks on Saturday. Typically crops are not overly productive for me however I was able to finish 2 layouts at this crop. 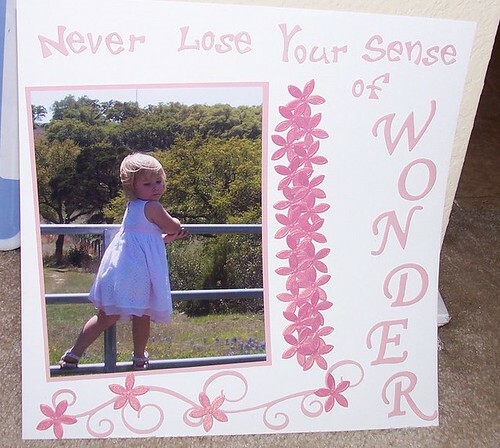 My first layout, Never lose your sense of wonder, is made with bazzil card stock, flowers from the bridal confetti at Michael's and a swirl die cut from sizzix. The letters are a combo of sizzix dies and accucut dies. 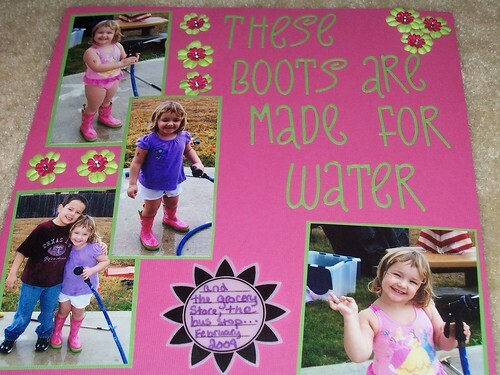 My second layout, These boots are made for water, features quickkutz letters, prima flowers and bazzil card stock.